I'm a 21st century Renaissance woman-I don't pretend to know it all, but I want to. I love makeup, skincare, fashion, tech gadgets, books, and crazy reality shows. 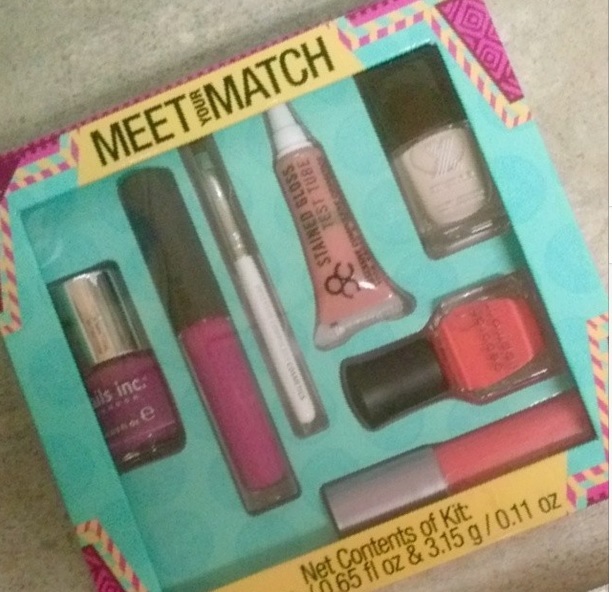 This “Meet Your Match” Lip Gloss & Nail Polish set is from Sephora inside JCPenney. This is an awesome deal at $25.00 because I was able to try several new products without breaking the bank. These duos are perfect for summer. Check ’em out and let me know what you think. This Customized Skincare Set is $29.00 and only available at local Sephora inside JCPenney Stores. For $29.00 you receive a nice makeup bag and (5) skincare deluxe/sample size items of your choice. Depending on the (5) items you select from the (13) available, your skincare set can be valued from $42.00 to $133. My Sephora at JCPenney allowed me to select more than one of the same items, but yours may not. I suggest asking first so that you do not get disappointed at the register. This is a great value and if you are interested in trying new skincare and/or picking up some old favorites, I highly recommend this customized skincare bag. Thanks so much to BoxesWithBunny for sharing this deal on her YouTube Channel.